Plans to import sand from India! The Geological Survey and Mines Bureau, for the first time, has decided to import sand required for construction projects, from India. 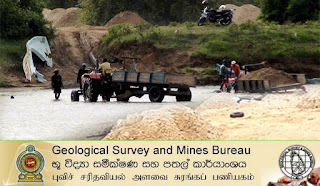 According to the Excavations Director of the Geological Survey and Mines Bureau Sajjana de Silva, measures have been taken to import around 3 million cubes of sand from India, required for urgent construction projects in and around Colombo. This measure has been taken to avoid the environmental destruction caused to areas surrounding rivers, due to the illegal sand mining activities carried out indiscriminately. He noted that the demand for sand had increased due to mega projects such as the Port City project. It is reported that discussions had been made with India for the import of sand.